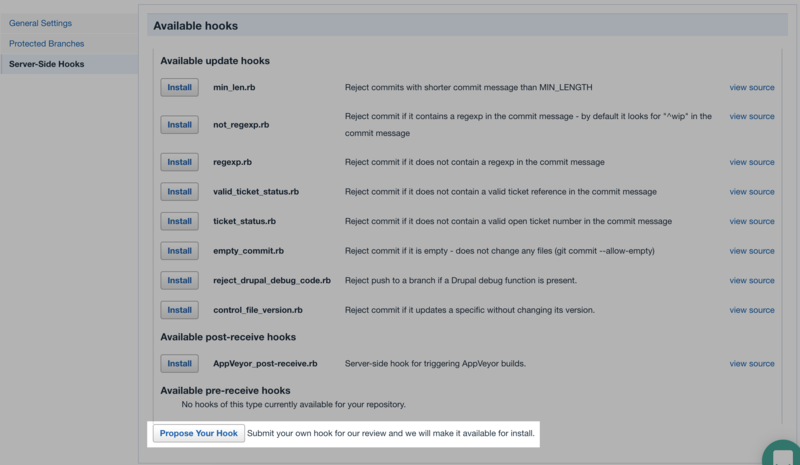 You can install server-side hooks from your Git repository's Settings sub-tab and then opening the Server-Side Hooks page from the left side of the screen. 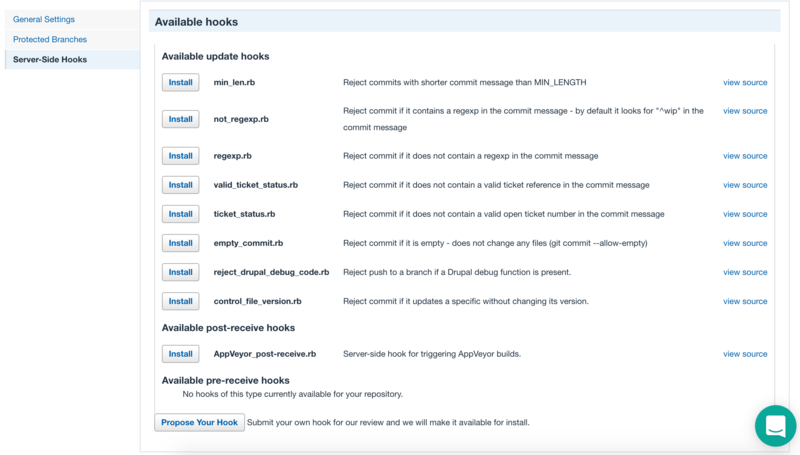 We already have some hooks that you can install and view their code sources as well. Follow the instructions: The instructions are not the same for all the hooks. If you don't like our hooks, or if you want to use your own hook in Assembla, you can propose your hook by clicking on the Propose Your Hook button at the bottom of the page and follow the instructions.